Design. Build. Develop. Modern Living. Timeless Style. Custom Homes. Creative Environments. Sailhouse is a full-service real estate and development firm committed to excellence. We design, build, and develop residential and commercial properties to create remarkable environments for our clients. We work with industry leading professionals, specialty contractors and innovative consultants to deliver timeless architecture, energy efficient design and extraordinary projects. We assist families and specialty brands with all of their real estate needs. Sailhouse owns, manages and markets distinctive properties throughout Southern California. HartmanBaldwin Design/Build is a fully integrated Architecture, Construction and Interior Design company specializing in large scale remodels, additions, historic restorations and new custom homes for highly discerning individuals that are passionate about their home and lifestyle. 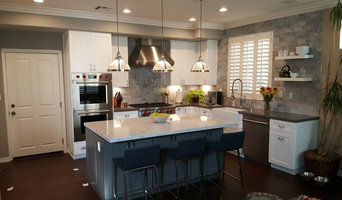 We pride ourselves in being chosen by clients who look for a full service firm that will provide them with outstanding design services, cutting-edge materials and products, quality construction that is sustainable and energy-efficient, as well as a relationship that goes beyond the duration of a project. Since 1984, HartmanBaldwin has been consistently recognized locally and nationally with awards such as Best Design of the Year by Remodeling Magazine and the Gold Nugget Grand Award, by the Pacific Coast Builders Conference and Builder Magazine, and featured on shows like HGTV's Restore America. For builders who also act as developers, the job starts well before the first nail is driven. They perform Long Beach, CA market research to determine whether the prospective homesites make sense in the Long Beach, CA market, as well as survey the land on which the house will be built to make sure it is suitable for construction. They also obtain the necessary permits. A good builder has skills that go far beyond construction — he or she must supervise subcontractors and artisans; keep tabs on Long Beach, CA zoning regulations, building codes and other legalities; inspect work for problems along the way; and perform dozens of other roles that are essential in building a quality house. Here are some related professionals and vendors to complement the work of home builders & construction companies: Interior Designers & Decorators, Landscape Architects & Landscape Designers, Architects & Building Designers, Kitchen & Bath Designers, Specialty Contractors. Find custom home builders and luxury construction companies on Houzz. 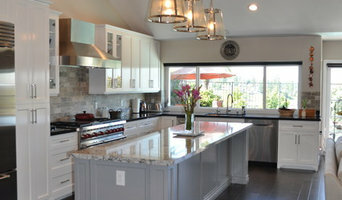 Narrow your search in the Professionals section of the website to Long Beach, CA new home builders. You can also look through Long Beach, CA photos to find a house you like, then contact the builder who worked on it.